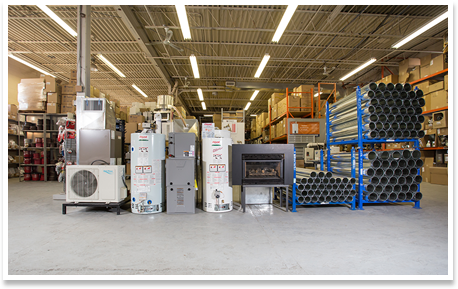 For over forty years, Ontario Heating Ltd has provided materials and equipment that Toronto’s heating and cooling mechanical contractors need to operate their growing businesses – we offer an extensive collection of products through multiple locations. As an HVAC Wholesaler/Distributor for the highly respected brands including KeepRite, Allied, Modine, and Honeywell just to name a few – we offer a full range of HVAC commercial and residential equipment at each one of our locations. Our custom sheet metal department can process your custom orders precisely according to specifications allowing you to meet the needs of your commercial and residential projects. At Ontario Heating Ltd our goal is to provide you with the best materials for each project on the go as efficiently as possible. Our ongoing success has led to multiple Canadian Distributor of the Year awards from International Comfort Products as well as positive feedback from our customers. Our branches are located throughout the Greater Toronto Area; giving you fast access to the supplies you need regardless of where your worksite is located. We have The Right People! 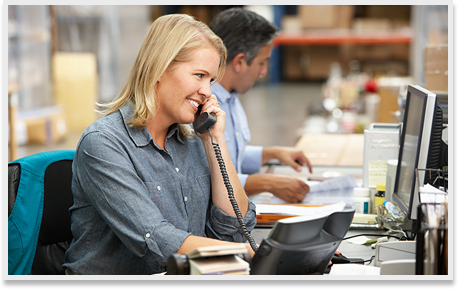 Each of our locations is staffed by knowledgeable experts who make your ordering process effortless by considering the installation application in order to meet the needs of your clients. Contact us today to start working together!